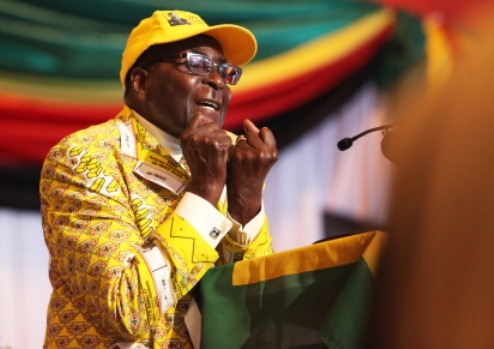 FORMER president Robert Mugabe could make a sensational return to Zanu-PF – one-and-a-half years after the frail nonagenarian was swept from power by a military coup – if the party’s overtures to him yield positive results, the Daily News can report. This comes as President Emmerson Mnangagwa is reaching out to many of his erstwhile Zanu-PF comrades-turned-political rivals – whose relationship with him was destroyed at the height of the ruling party’s deadly factional and succession wars a few years ago. Among the expelled Zanu-PF members who have since been re-admitted back into the party as a result of this new initiative to reunite the former liberation movement are former senior Cabinet minister and party secretary for administration, Didymus Mutasa, and retired securocrat Ambrose Mutinhiri – who briefly led Mugabe’s failed political project, the National Patriotic Front (NPF) last year. Now, Mutasa wants his former boss – who ironically engineered his expulsion from the ruling party together with several other bigwigs who included former vice president Joice Mujuru in 2014 – to be considered for a fresh accommodation within Zanu-PF. Mutasa, who praised Mnangagwa effusively and also described him in an exclusive interview with the Daily News yesterday as “a refreshing president”, said it was inconceivable that Mugabe’s name could be erased from the annals of the party and the country’s history. “When we gained independence, we were talking about the establishment of a one party state … but that did not fit with the democracy of the Western world. “Now we should do everything we can to bring everyone back in the party, including him (Mugabe). He worked for Zanu-PF more than anyone else, and I don’t think there is anyone who can dispute that. “He should therefore be brought back into the party,” Mutasa said. Asked if the olive branch to Mugabe should also be extended to other former senior Zanu-PF officials such as former party national political commissar Saviour Kasukuwere and politburo member Jonathan Moyo – who were banished from the party following the November 2017 coup – Mutasa was guarded, saying every situation was different. “For now I am just a card carrying member. But I think by now Zanu-PF should have developed into the undisputed main party in this country, as we have seen elsewhere. “I think from what we have seen so far from Mnangagwa, he wants everyone involved. “If you look at other countries like Tanzania, they have arranged themselves very well, especially their ruling party, and that is what we want to see in our party,” Mutasa said. Mugabe, who was ousted from power via a military coup in November 2017, has been having a love-hate relationship with Mnangagwa ever since. The increasingly frail nonagenarian surprised many people in February this year when he chose the occasion of his 95th birthday celebrations to stick the boot into Mnangagwa – whom he described as “cruel and rogue”. Mugabe’s rant against Mnangagwa caught many by surprise as he was lately seen to be now tolerant of the country’s ‘‘new dispensation” – even going to the extent, at some point, of praising his successor for “helping” his family. His stinging criticism of Mnangagwa, which came in the wake of government’s heavy-handed response to January’s riots, provoked angry responses from Zanu-PF officials who called for tough action against the nonagenarian, while also bemoaning the fact that he was being treated like a “little god” by his successor. The officials from the ruling party’s youth and women’s leagues said as Mugabe was “unrepentant”, he did not deserve “the respect” that he was being accorded by Mnangagwa and the government. Turning to his own re-admission into Zanu-PF, Mutasa said Mnangagwa had had nothing to do with his political troubles, which had kept him in the political wilderness for nearly five years. “Everyone wants to blame Mnangagwa for every misfortune, but my problems are mine and mine alone. They are not the reason why I have rejoined Zanu-PF. I always said that I would one day join Zanu-PF. “I just wanted to come back home and help my party as a card carrying member. I have spoken to the president before and all is well. This is not the time for blaming anyone, but to build the nation,” Mutasa said. The veteran politician also said he knew Mnangagwa “sufficiently well” and was surprised by “unfounded” comments people make about the president. “We went to the war front almost the same time (with Mnangagwa) in 1977. I shared prison with him, but he was not as close to me as was Mugabe, Malianga and Edgar Tekere. “However, I know him sufficiently. If I am asked to walk with him as was the case around independence, there is nothing to be feared,” Mutasa said. “If you discuss things and ask him to do something, he will do it properly. But because there is a lot of distrust unotofamba wakabata bakatwa rako (you move with your own dagger ready). “There is a lot of fear around Mnangagwa that people talk about, but myself I have never seen it. “I was with him during the war and we came together, lived together and worked together. But of course, I had my own dagger just in case,” Mutasa added amid roaring laughter. Mutasa, who turns a mature 84 in July this year, was sensationally sacked in the run-up to the hotly disputed December 2014 congress together with other Zanu-PF bigwigs who included Mujuru and former party spokesperson Rugare Gumbo – on untested allegations of wanting to topple Mugabe. He was part of the former Zanu-PF bigwigs who formed the Zimbabwe People First – which was initially led by Mujuru before she quit the then fledgling party in a huff after falling out with Mutasa and Gumbo. Mujuru, who has denied that she intends to rejoin Zanu-PF, is the current leader of the National People’s Party (NPP) which performed dismally in last year historic national elections. These old men need to get their corrupt selves out of government for good. When will they give Zimbabwe a chance?